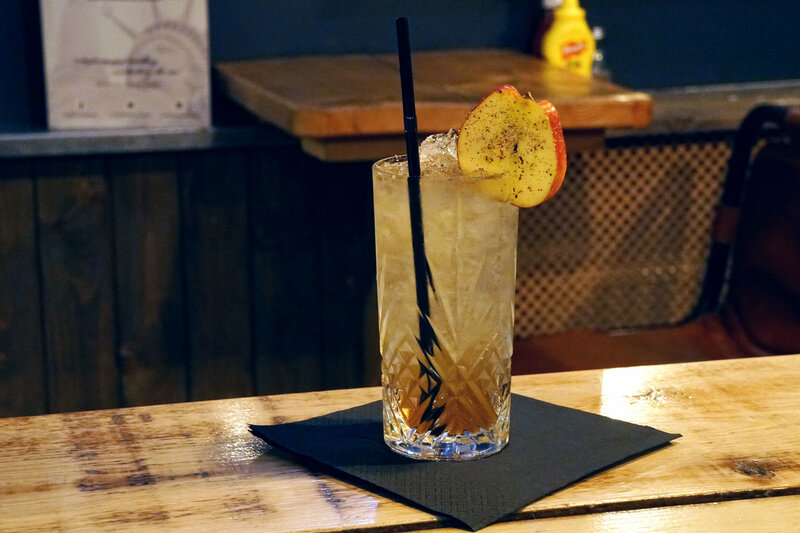 Burger Brothers invited us along to their drinks tasting evening, to sample some of their new festive cocktails. Taking inspiration from Rich Woods The Cocktail Guy the menu features unusual flavour pairings and creative twists on old classics. 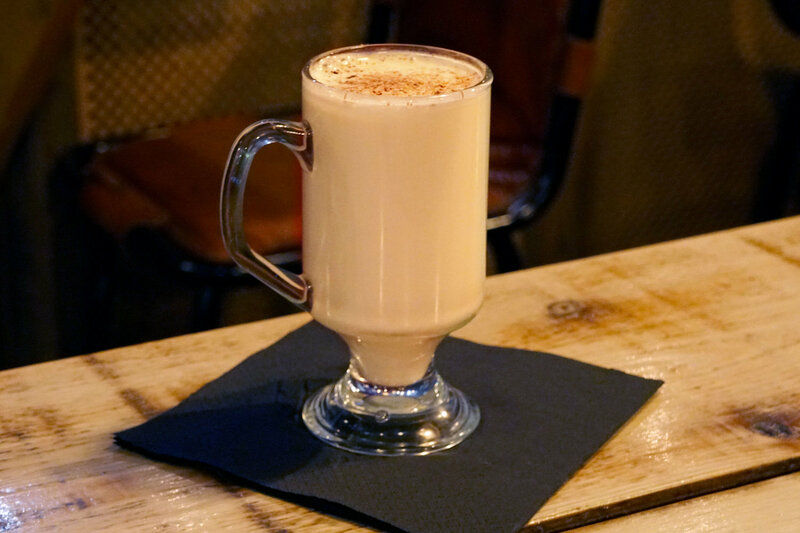 There's a drink for everyone on the menu and they're the perfect hit of christmassy spice and cheer that everyone needs this time of year. 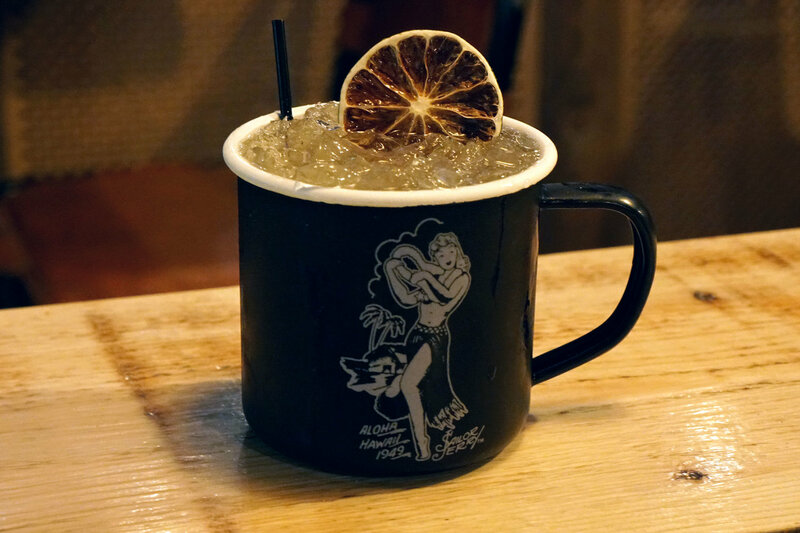 Served in a tin mug, this is a Mexican twist on a moscow mule. Whilst you might not think of Mexico as a Christmas alternative to Moscow, this drink will challenge your preconceptions. Lime wedges are muddled and added to a ginger ale with a smoky mezcal. The smokiness is intense, and the pairing of a fiery ginger ale and lime makes for a perfect warming combination. This was really different, and has to be tasted to be fully appreciated. 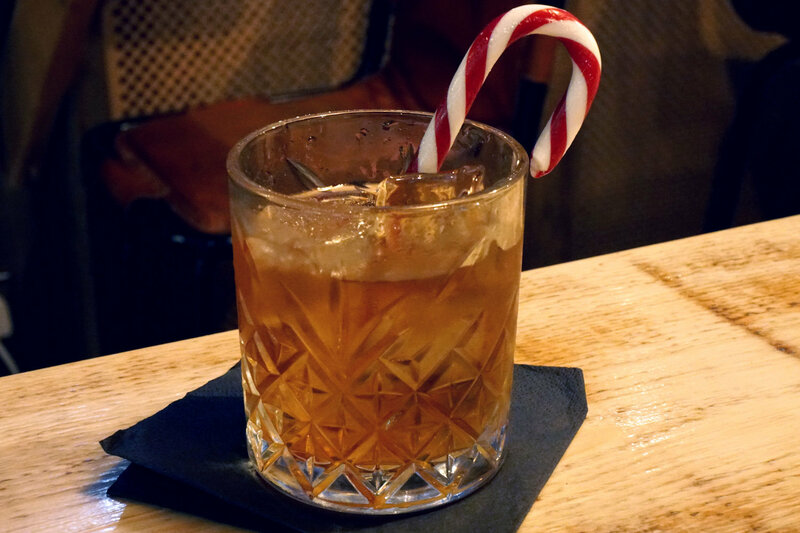 Inspired by a rock and rye, this drink uses a combination of fruity and bitter flavours and served with a candy cane, it smells just as good as it tastes. With notes of citrus, paired with tangy Rittenhouse Rye and Plantation Pineapple rum. You'll be able to enjoy the scent of the cocktail before the liquid even reaches your mouth. 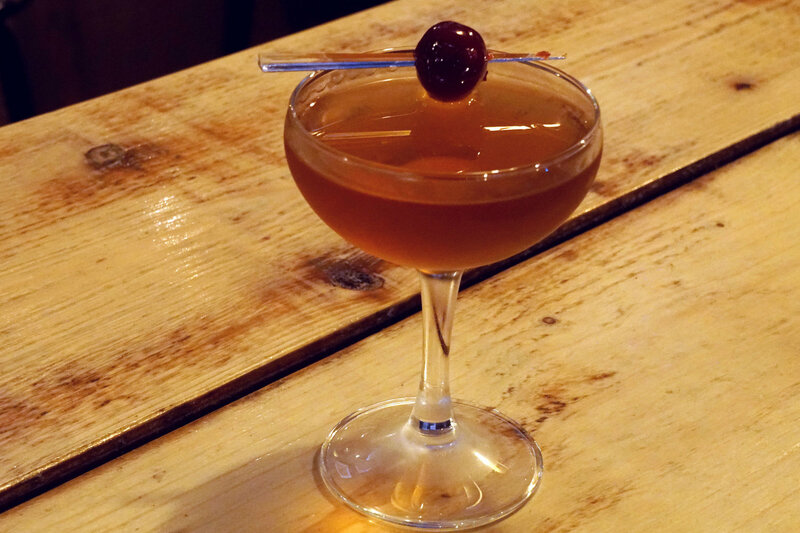 A take on the classic Manhattan, with an Italian twist. Made using fig syrup, bourbon and amaretto. The syrupy fig taste is a sweet and fruity hit of seasonal flavour. 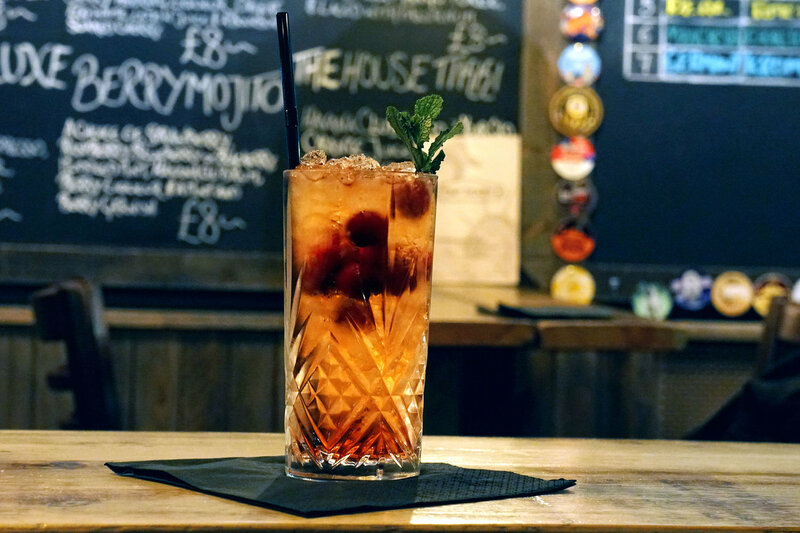 Garnished with a bourbon soaked cherry, this is definitely one to check out, if not for the flavours, for the pun. 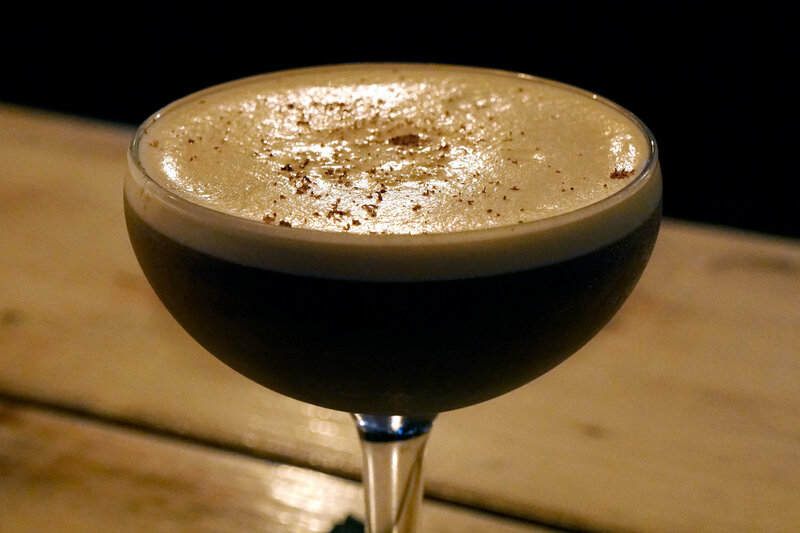 Baileys, a shot of espresso coffee, and Absolut mandarin vodka are layered up along with homemade chocolate syrup- made using raisins, orange peel and cocoa powder. A sweet Christmassy indulgence that would be the perfect end to a meal. Here we have Herbaceous, fruity harvest flavours in a drink. 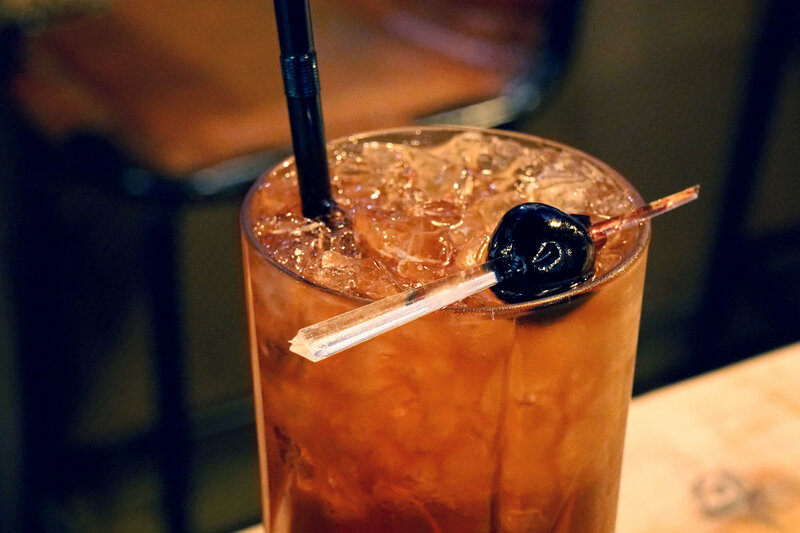 Featuring Laird’s Applejack brandy, vermouth, Benedictine and Herring Cherry liqueur and topped off with ginger ale. 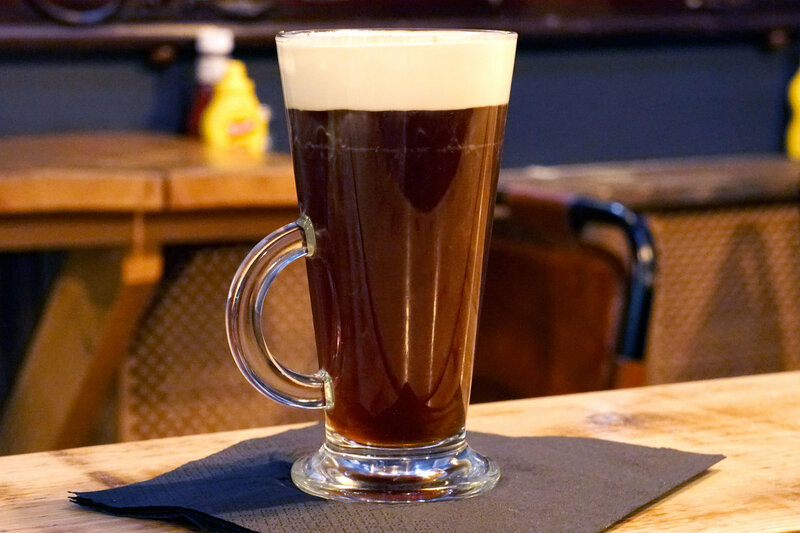 The colours sit well on the ice, and the notes of ginger are the perfect balance of heat and cold against the cold drink. Gin, botanicals and warming spice paired with demerara syrup, double cream and homemade chocolate syrup, orange bitters come together to replicate an Italian Christmas. There's a richness from the egg yolk and cream, the flavours hit the mark, sweetness paired with dried fruit and spice. 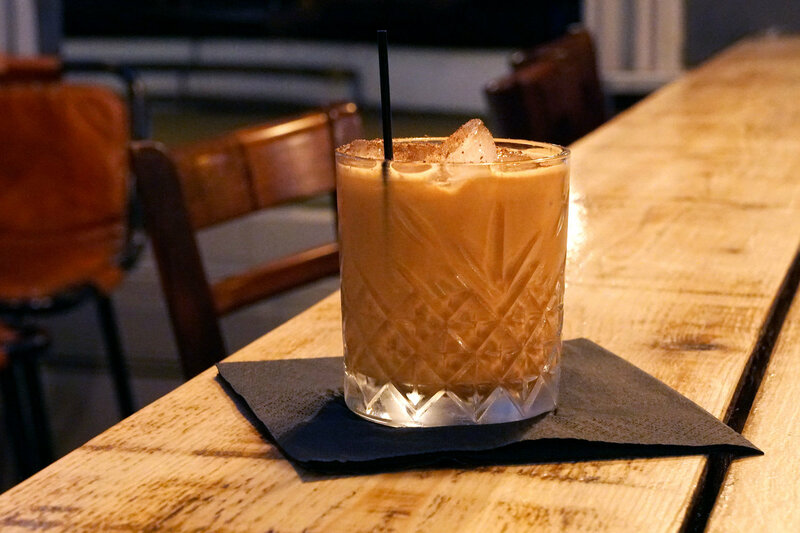 Rich and creamy, this is another great dessert drink to round off the night with. Peruvian brandy House infused with peppercorn, clove and cinnamon, is added to Homemade vanilla butter. Made using spices cooked in butter and mixed with Häagen-Dazs vanilla ice cream. This mixture is then added to hot water and topped off with whipped cream. The result is a warming sweet, butterscotch caramel goodness.